Experience the thrill of Formula 1 racing with the Playseat® F1 Red, the first ever official licensed Formula 1 racing simulator! The Playseat® F1 Red is the first ever official licensed Formula 1 racing simulator and features the official Formula 1 logos. The seating is upholstered with very comfortable, high quality leather-look black vinyl, suited for many hours of racing. 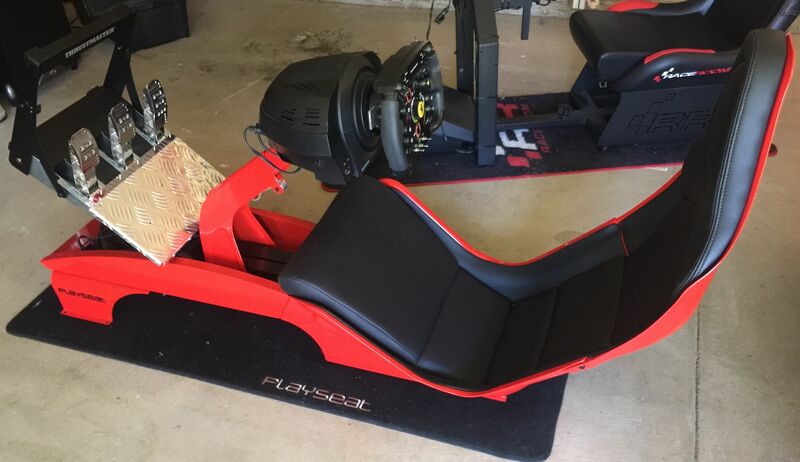 Thanks to the very stable and adjustable framework, this simulator is a must have for sim racing fans that want to find the perfect position for the most intense racing games. It's suited for drivers of all shapes and sizes. Decided to purchase this F1 rig compared to another marketable one and I'm glad I did. I can definitely feel the difference in immersion between GT vs. F1 seating & drive positioning. It makes the sim racing experience much more fun. The quality, build, & comfort is amazing ! Order processing and shipment was completed in less than a week ! This seat is comfortable enough that I also actually use it for watching movies and or just lounging. The seat is beautiful to look at. It is a work of art that compliments any room it rests in. The finish and build quality is excellent. It is sturdy and made to withstand years of play from child or adult alike. The adjustments are intuitive and well designed, allowing the young child as well as the tall adult to adjust the distances to mimic the cockpit of a Formula One racer. Every guest remains captivated upon seeing it. 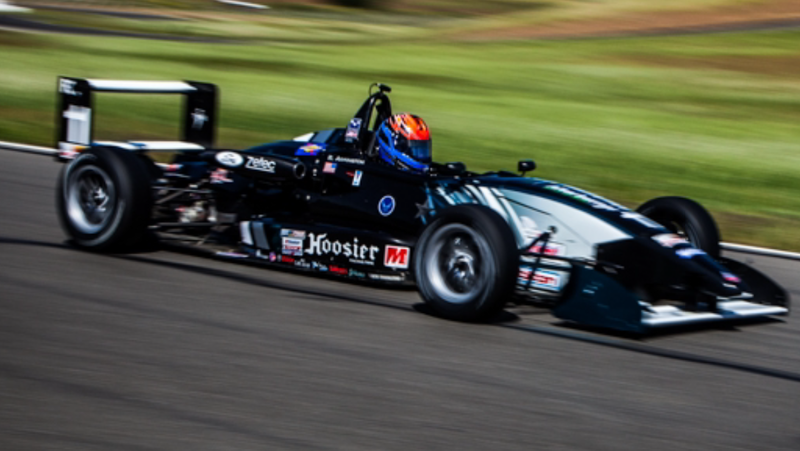 It is like having a Formula One car in your living room. I designed the monitor stand myself, to mount the Playstation 3D Display. If you would be willing to send me a second palest F1 seat along with the gear shift holder pro I would be willing to share my ideas with your team. Thank you. Rosso, ed è un rosso Ferrari, con i loghi ufficiali F1 riprodotti in modo spettacolare. Posizione stile F1 perfetta, richiede qualche minuto di prove per trovare la regolazione giusta, poi chi si stacca più? 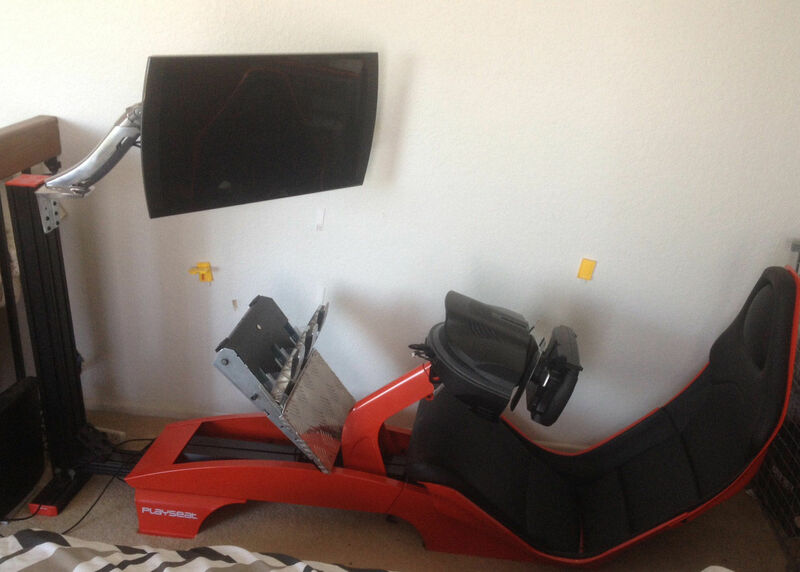 Utilizzato con pedaliera Thrustmaster t3pa pro (quindi a tre pedali) non ho alcun fastidio in merito al ‘piantone’ dello sterzo. Basta regolare bene il tutto. Complimenti a Playseat, ora simulare è ancora più reale. Red is the color of racing, right? And boy is this racing! Getting in this chair is the first adventure but once you’re in place it just fits like a glove (or chair…). There is no way you can get closer to real F1 racing without getting to a track. I love it. The design is what makes the experience of this simulator unique. Because the seat of the Playseat F1 red is so low to the ground, it creates the ultimate racing experience. It feels like being in a real formula 1 car! The Playseat is totally living up to my expectations and is equiped with every feature imaginable. This is the best chair I have ever sat on. It’s extremely comfortable and highly adjustable so not only I, but also my sons can play and we all can adjust the chair to our own preferences. It uses quite a lot of room, but It looks great and the racing experience is exceptionally realistic. As a big sim racing fan I can say I have never had a better set up before. It’s as if we race in real F1 cars.